Brethren, in the beginning, our Father said, "Let there be light and there was light." (Genesis 1:3); he spoke all things into existence by words of his mouth; notably, lights would not have manifested in darkness, without the words of our Father, to manifest in the firmament of glory: our Father spoke his words with faith, faith comes by hearing, and hearing by his words: therefore, if the spirit of our Father dwells in our mortal bodies, let us mind our spoken words, they are powerful as well, and will manifest thought process, positively or negatively when spoken out into the atmospheres; let us be careful what words we hear, to influence our thought processes into our hearts, engineered actions and behaviors. If anyone should ask, where do these words come from, to implant our spirits? 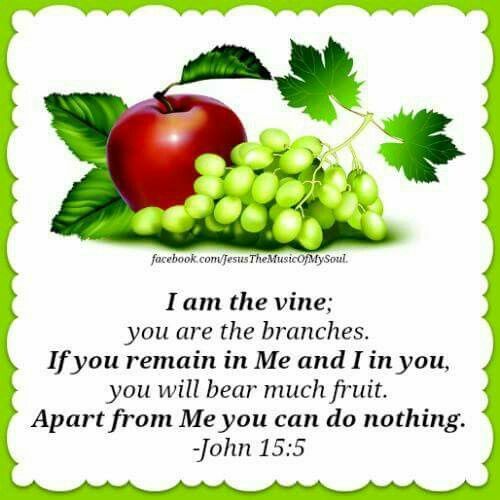 Firstly, Jesus was the Word spoken by our Father, to create all things of creation, (John 1:1-5); therefore, spirits of Jesus Christ leaves within all things of creation, that is the major aspect of the word. Secondly, we receive the word into our spirits when our Father, breathe his breath of life into humanity; (Genesis 2:7); thereafter, the word became seeds planted within our spirits, whenever we speak, we throw out seeds from our innermost spirits, into the atmosphere, to manifest upon our own lives, or lives of others: therefore, let us be careful of our words. Physically, sown seeds need plant food, water, adequate sunshine to grow; therefore, farmers work tirelessly to nourish soils of their plantations, keep seeds lively, for healthful growth and maturity: spiritually, our Father planted his words through breath of life, breathed into mortal bodies; to be powerful as he is, one has to watered down his words within our spirits every day, bear good fruits, if we neglect to take care of his words, nothing good will germinate from our spirits, we cannot bear fruits, worthy of harvesting: (John 15); if we ask ourselves, how can we nourish seeds of the spirits already planted within our spirits? 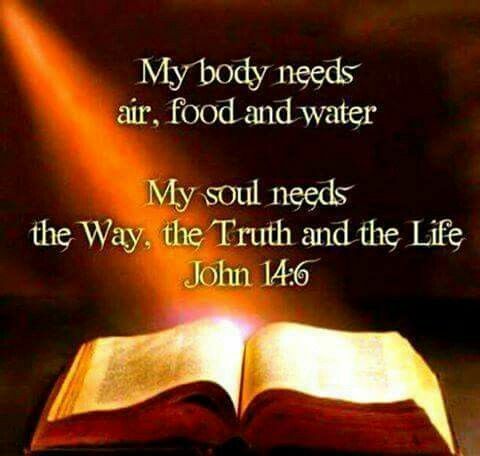 the answer is simple, we have to read his words every day, word resources come from our Father, to fertilize and nourish his words within our spirits: therefore, the word is essential to the welfare of humanity; saved or unsaved, our blessings, happiness, healings, victories etc. come from the word of our Father, which is Jesus Christ our Lord and Savior. Amen! Therefore, in today's text Apostle Paul encourages believers to "Let the word of Christ dwell in you richly in all wisdom; teaching and admonishing one another in psalms and hymns, spiritual songs, singing with grace in your hearts to the Lord. And whatsoever ye do in word or deed, do all in the name of the Lord Jesus, giving thanks to God and the Father by him. "; in other words, let us eat the words of Christ to its fullest, be filled with his words, which has wisdom, to warn others of perils and dangers of this world, instruct them to walk in godliness, preach the kingdom message, reprove one another gently with kindness, counsel against wrong practices, guide souls pathways from darkness into life everlasting. 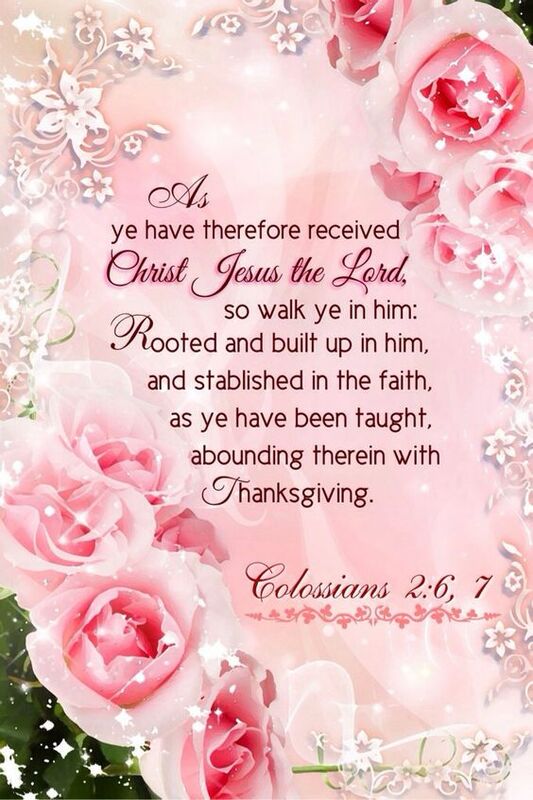 In all things, let us give thanks to our Father through Jesus Christ our Lord and Savior. Amen and Amen! (25) O righteous Father, the world hath not known thee: but I have known thee, and these have known that thou hast sent me. (26) And I have declared unto them thy name, and will declare it: that the love wherewith thou hast loved me may be in them, and I in them. Brethren, let us love one another as ourselves, perceive the concept of how all things of creation intertwine as one gigantic light of love: (i) our Father is the light of love, creator of all things; (ii) before the foundation of the world, Jesus, was with our Father, he was there as the word spoken to bring all things of the heavens and earth into existence; (iii) the Holy Spirit being part of creation, manifested the spoken words of our Father into physicalities, as our Father spoke the word, flashes of lightning stroke through the skies, manifested his words; therefore, Jesus Christ, the word, Holy Spirit, and our Father orchestrated all things of creation: if our Father, being the fountainhead of love, his breath of life engineers our mortal bodies, runs within our blood veins, then, regardless of our nationalities, ethnicities, genders, skin colors, we are one in him, through Jesus Christ our Lord and Savior, and are connected together with his love; consequently, how could the spirit of hatred enter into our hearts to hurt one another? this is a point to ponder on! When our Father formed man out of dust of the ground, breathe his breath of life into his nostrils, man became a living soul: (Genesis 2:7); therefore, the breath of our Father, came out of his spirits into our mortal bodies, within his spirits dwells the word, (Jesus Christ); the word became the light which lightens up our mortal bodies, we become living souls; therefore, as the word, (Jesus Christ), dwelled within the spirit of our Father before the foundation of the world; the same way, the word, dwells within our blood through our Father's breath of life; therefore, to intertwine with our Father, the Word, the Holy Spirit, humanity must read his words every day, they are spiritual foods, which nourishes, strengthens spirits, souls, and bodies that the love of our Father, may continue to richly dwell in our hearts, to walk in his righteousness, and love another as ourselves. Love is what we need to practice towards one another every day, it the only way to have peace on earth; consequently, let us depart from evil, and do good, seek peace, and pursue it. 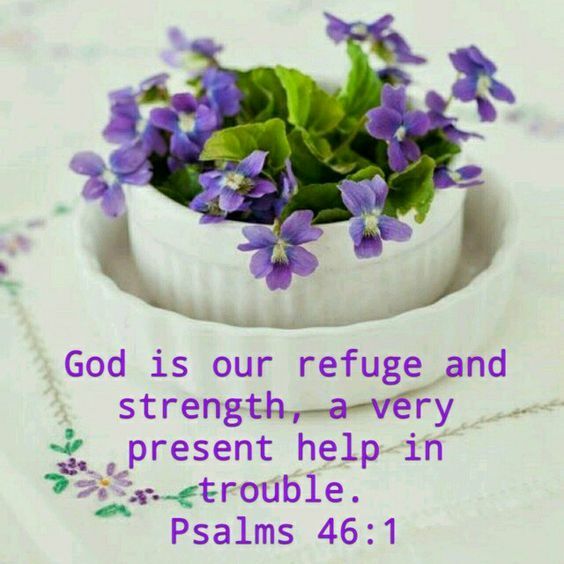 refer to Psalm 34:14. Dearly beloved, Jesus prayed for believers at the end of his ministry, that the love which the Father loved him may be in their hearts, as he dwells in them; therefore, let us love one another as we love ourselves, refrain from evil works, understand one another's points of views, seek peace on earth, and life forever and evermore. Amen and Amen! (21) In that hour Jesus rejoiced in spirit, and said, I thank thee, O Father, Lord of heaven and earth, that thou hast hid these things from the wise and prudent, and hast revealed them unto babes: even so, Father; for so it seemed good in thy sight. (22) All things are delivered to me of my Father: and no man knoweth who the Son is, but the Father; and who the Father is, but the Son, and he to whom the Son will reveal him. 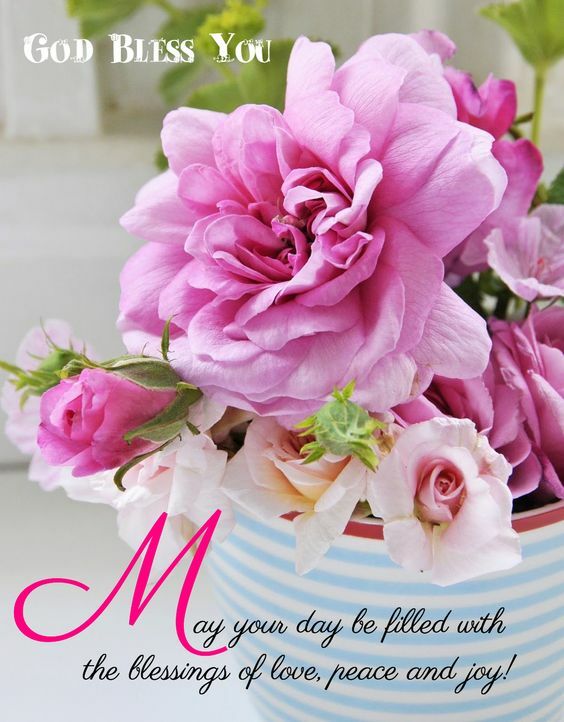 Brethren, every morning before we attend to secular duties and responsibilities, remember to give thanks to our Father, Lord of heaven and earth, Jesus Christ our Lord and Savior, for his goodness and mercies that endure forever. There is a mystery, that no one can determine, and that is, we see ourselves go sleep at nighttime, thereafter, drifted through the spirits into unfamiliar atmospherics, worlds unknown; many times, find ourselves among battlefields of demonic entities, our spirits maneuvers through atmospheric darkness, valleys, shadows of death, experience warfares with demonic forces, survive hindrances, obstacles, overcome works of darkness by the grace of Jesus Christ our Lord and Savior; at times, lives are overpowered by demonic spirits through dreams of the night, they become lifeless in the mornings; if we find ourselves in such a predicaments but were able to penetrate through the world of darkness, wake up alive the next morning, we owe our lives to Jesus Christ, for deliverances from hands of our enemies: on the other side of the dream coin; we dream, find ourselves in the lights of our Father, experience eternal grace through Jesus Christ, revelations of the spirits, manifestations of the divine truth, receive messages for humanity, enveloped with his love, peace, and eagerness to inherit eternal lives with Jesus Christ; the point is, how do we know for sure, which type of dreams will manifest through our spirits when we go to sleep every night? this is a mystery to pray about! In the above text, Jesus prayed, thanked our Father for his powers, divine revelations, given to his disciples, that humanity regarded as worthless individuals, but equipped to perform miracles, cast out demons, in his name; therefore, if Jesus being part of our Father, nevertheless, gave thanks to him, for his manifestations through the mentioning of his holy name, then, sequentially, believers, must do likewise, for salvation, free grace, goodness, and mercies that endure forever: for the ways of our Father are mysterious, he takes worthless lives, transforms them into worthiness, use them mightily, that the world could marvel at his deeds, give him glory forevermore: however, believers are not worthless, they are worthful, powerful, purposeful, masterpieces of eternity; therefore, let us utilise our anointing powers, gifts, talents for the benefits of humanity, give glory to Jesus Christ for equipping us to do his works, it is only by his grace! Dearly beloved, also Jesus in the same text, declared his authority as a Son of our Father, explained to his disciples, the unique relationship with him, that, to know our Father, one has to know his Son, no one can know the Father, without knowing the Son; this type of revelation, can only be given by Jesus Christ, through the Holy Spirit; therefore, spiritual eyes that are open to perceive things of the spirits, are blessed by Jesus Christ, highly favored by our Father to perceive the divine truth, let us give thanks to our Father, and glorify Jesus Christ our Lord and Savior for gifts of spirits by his grace forever and evermore. Amen and Amen! (KJV.) Psalm 8:2 Out of the mouth of babes and sucklings hast thou ordained strength because of thine enemies, that thou mightest still the enemy and the avenger. (26) Fear them not therefore: for there is nothing covered, that shall not be revealed; and hid, that shall not be known. (27) What I tell you in darkness, that speak ye in light: and what ye hear in the ear, that preach ye upon the housetops. Brethren, let us give thanks to our Father, who grant believers the victory through Jesus Christ our Lord and Savior; we are victorious in this world forevermore; therefore, be bold and brave, walk in the victory provided, nothing can hurt believers, or overshadow their lights of glories, in this world of darkness. Fear no foes! Regardless of who we are in this world, our nationalities, statuses, genders and skin colors, it does not make any difference to enemies of righteousness; when we accept Jesus Christ into our hearts, believe in him as Lord and Savior; automatically, enemies will reproach with no apparent reasons, persecute and confederate against believers; at times, from the same faith, Judas Iscariot was with Jesus Christ as a disciple for three years, yet when the devil infiltrated his mind and heart with evil, he betrayed his master to higher authorities, (John 13:2); therefore, there is nothing new under the sun, persecutions of Christians has happened in the past centuries, still happening in present times; if we find ourselves being persecuted for righteousness sakes, listen carefully to Jesus Christ, fear no foes! He being the son of the highest Father; if persecutors, called him the devil, reproached and scourged him, to the point his death on the cross, how much more will they call his believers? this is a point to ponder on! Cheer up folks! There are no secrets in this world, whatever plots and plans engineered from world of darkness against Christians, shall be revealed, they will not materialize, believers are lights of the world, no darkness can prevail over lights ever; that is the bottom line; being lights of the world, let our lights shine, uncover secrets of the dark, walk in the victory of Jesus Christ; whatever the Holy Spirit reveals through dreams and visions of the night, we are to relate to believers during the dawn; accordingly, what we hear him speak through our ears, we ought to preach in truthfulness, without straining his words, to hold back instructions, reproves, chastenings, encouragements or applauses, rather relate his words, do our parts, leave the rest in the sacred hands of Jesus Christ our Lord and Savior to take absolute control. Dear beloved, at times, enemies will join hands to plan evil works against believers, Jesus said, fear not them which kill the body, but are not able to kill the soul: fear him which is able to destroy both soul and body in hell: who is able to do so? not the devil, but our Father; therefore, let us not fear for our lives, nothing can permanently destroy our souls; if we believe in Jesus Christ as Lord and Savior, walk in his righteousness, he is our banner of protections, no enemy can destroy our souls with damnation, when we sleep in death, we have life in Jesus forever and evermore. 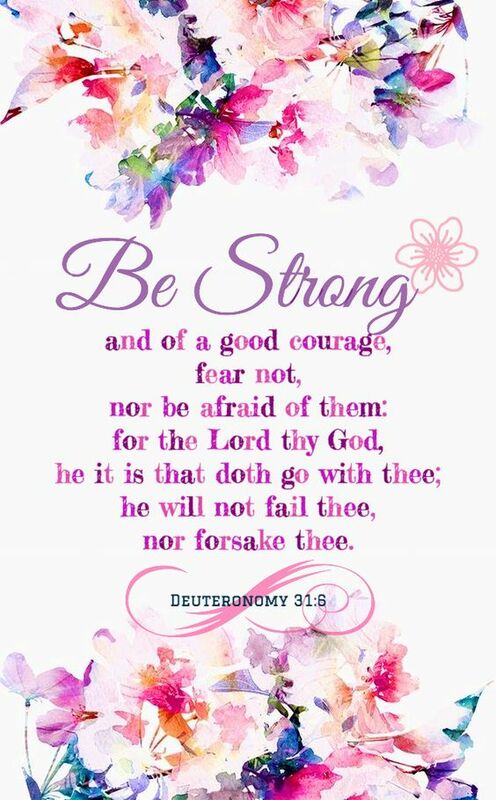 Fear no foes, trust and believe in Jesus Christ! Amen and Amen! (KJV.) Acts 5:20 Go, stand and speak in the temple to the people all the words of this life. (24) And there was also a strife among them, which of them should be accounted the greatest. (25) And he said unto them, The kings of the Gentiles exercise lordship over them; and they that exercise authority upon them are called benefactors. (26) But ye shall not be so: but he that is greatest among you, let him be as the younger; and he that is chief, as he that doth serve. Brethren, as humans, living together on earth, though the same species, we strive among ourselves, many times, violently to maintain vicinities, prove our capabilities to one another, within world of darkness; the question is, why can't humanity accept the fact, that each and every soul differs from one another, shine in areas of specialties, gifts, and talents already planted within innermost spirits, be happy with ourselves, live peaceably with all men? This is a point to ponder on! From generation through generations; there has not been peace on earth, because humanity, strove against one another due to enviousness; in the garden of Eden, Cain killed Abel, because our Father accepted Abel's offering, but rejected his offering, refer to Genesis chapter 4; it was striving spirits, which possessed Jacob engineered his heart, schemed against Esau his elder brother, possessed his birthrights, blessings, refer to Genesis chapter 25: Absalom strove with David his own father, sweet talked people of his father's kingdom, rebelled against the throne of David, eventually, killed at the battlefield, refer to 2 Samuel 15: during the ministry of Jesus Christ, there were also strives among his disciples, which of them should be accounted as the greatest, important, worthy, then the other; while Jesus's predetermined trials approached him, prepared his disciples for worsening scenarios yet to manifest in his life; unfortunately, none of his disciples understood what he spoke about or took him seriously, but rather argued among themselves, who should be worthy in eternal kingdom; Jesus said unto them, The kings of the Gentiles exercise lordship over them, in other words, if they are of this world, then, they ought to behave like people of this world, be submissive to authorities, obey rules and regulations, receive earthly reward for good deeds; however, they are in this world, yet not of this world, but belong to the kingdom of heaven; therefore, to be greatest in the kingdom of heaven, they must be humble as little children, serve one another without applauses of humanity or earthly rewards; but with anticipations, be full of hope, that someday, they will receive blessings forevermore. Case in point, when Jesus came to earth, he came as a heavenly monarchy; what did he do while on earth? he was a servant, ministered kingdom words to humanity, healed the sick, the blind saw, the lame walked, raised dead bodies back to life, and wash the feet of his disciples; subsequently, when his mission was accomplished on earth, he received eternal rewards, he was given the name above all names, honor, and glory forevermore; therefore, let us not get weary in well-doings, for in due season we shall reap, if we faint not. refer to Galatians 6:9: persevere, forbear all things, finish the course, receive the crown of glories, be joint-heirs with Jesus Christ our Lord and Savior. Dearly beloved, spirit of enviousness, engineers attributes of deception and murder; therefore, let us guard our minds, hearts from infiltration spirits, sources of evil manipulative works; strive not against one another, but trust and believe in Jesus Christ our Lord and Savior as the true source of our blessings, serve him diligently, have eternal blessings, life forever and evermore. Amen and Amen! (KJV.) St. Luke 9:48 And said unto them, Whosoever shall receive this child in my name receiveth me: and whosoever shall receive me receiveth him that sent me: for he that is least among you all, the same shall be great. (11) Beloved, follow not that which is evil, but that which is good. He that doeth good is of God: but he that doeth evil hath not seen, God. 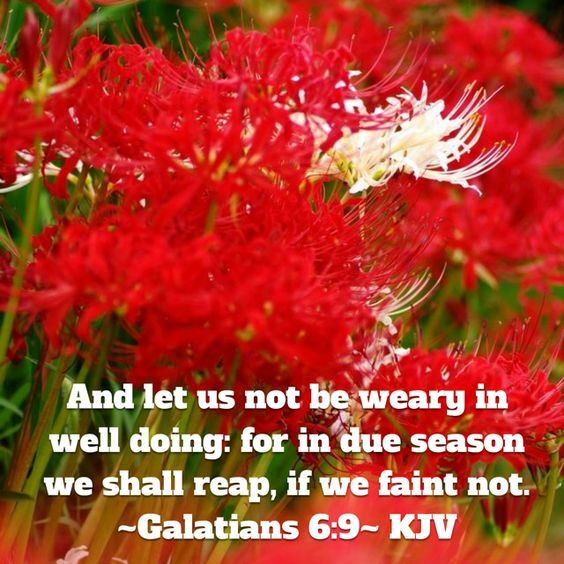 Brethren, despite facts, that evil works have infiltrated this world, those deeds will never continue to prevail against the will of Jesus Christ, any longer than time frames allocated for those things to happen; this too shall pass! one way or another, Jesus will come back to earth again, intervene, do what he has to do, set believers free from strongholds of evil works. Let us not deceive ourselves, act innocently, without any emotional distresses, concerning what is going on in this world negatively; whether we like it or not, we still live in this world; but realize that humanity is up against something more devastating than just human immoral senseless behaviors; the question we need to ask ourselves is, what can we do to help eradicate these evil uncertainties? If we say it does not concern us, we may say so, if it's happening in certain parts of world only, and does not affect our countries, neighborhoods, or love ones; however, from what we hear from news medias all over the world, these evil works are becoming infectious, transmitted from one country to another, one state to another, one neighborhood to another, and sooner or later, it might occur within our vicinities; therefore, let us take these matters seriously, come together as one nation, set aside differences, at this point, it does not matter who is wrong or right anymore, we have a worldly problem, that needs a strategic worldly solution, commune as one family, finds out what may be the root of our problem, tackles issues, implement newer rules and regulations for safeties of humanity in the world of darkness. As humans, we tend to be copycats and copy other people's lifestyles and mannerisms; what types of cars they drive, houses, clothes, neighborhoods, and attitudes; it is normal for humanity to feel inferior to one another, endeavor to keep up with others; however, it becomes an issue, whereby we copy blindly, though we see how others, do evil works against fellow brothers and sisters, get killed in their evil actions, or killed themselves after quenching bloody thirsts with innocent lives; why on earth, then will anyone copy this type of evil works, to practice the same evil works? this is a point to ponder on! Dearly beloved, let us not copy blindly one another's evil works, actions, and behaviors; though we belong to human species, our callings differ from one another, and what is good for the goose, may not be good for the gander; therefore, let us copy and practice that which is good in the eyes of our Father, if we walk in his righteousness, we belong unto him, on the contrary, if we choose to follow and practice evil works, we are children of perdition, mark for eternal damnation; it is not too late to make a turn from doing evil works, think wisely about our actions and behaviors, before we act upon them; there are loved ones to call, reach out to, talk to someone about how we feel about our thought processes, get another person's biblical opinion on issues, make rightful choices, have life with Jesus Christ forever and evermore. Let us love one another as ourselves. Amen and Amen! (KJV.) 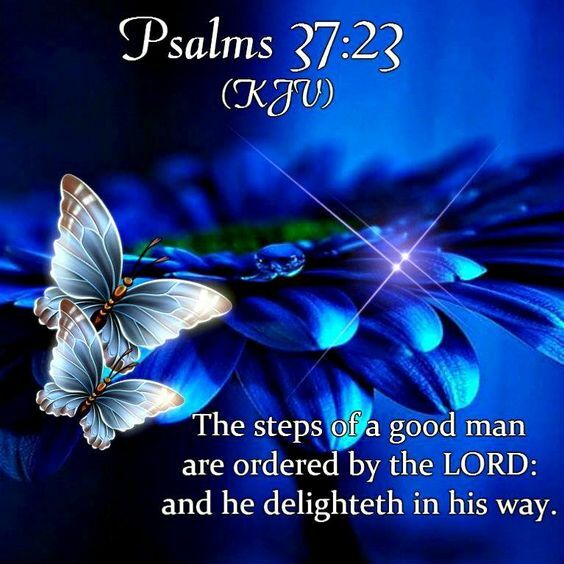 Psalm 34:27 Depart from evil, and do good; and dwell for evermore. Brethren, as servants of Jesus Christ our Lord and Savior, let us fully understand who we really are in this world; for the world is watching our mannerisms; once we understand that we are sons and daughters of our Father, joint heirs with Jesus Christ, in eternal kingdom, have the same rights and privileges, exemplify ourselves in his righteousness, displayed attributes of integrities as holy men and women, love and respect others, regardless of who they are, saved or unsaved; look at things with the same perspective lenses of Jesus Christ; bearing marks of distinguish individuals, and serve him diligently, faithfully, joyfully, we are prequalified for final destinations of life. 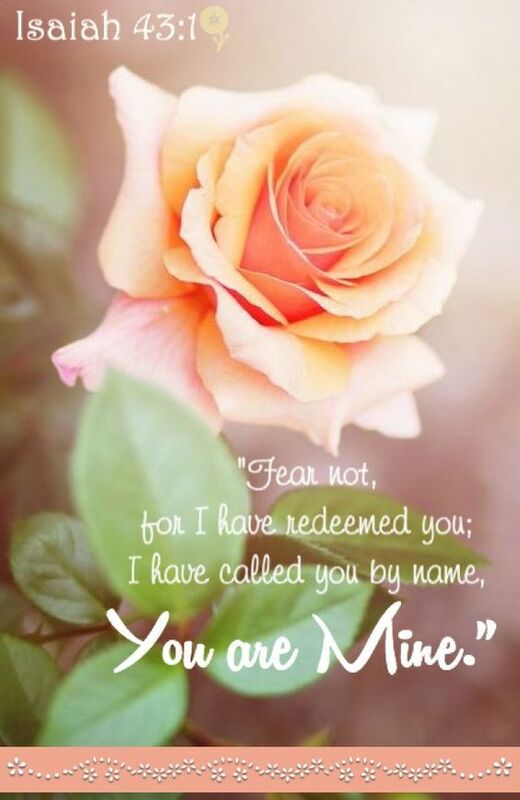 There is nothing to fear, worry, have anxieties over in this world; we just have to believe in Jesus Christ as the fountainhead of our lives; Jesus is real!, how manytimes have we called upon his holy name, and are delivered, both physically and spiritually? when in difficult situations, what type of name pops into our hearts to call for deliverances? it is the holy name of Jesus! Jesus saves, there is no other name that can deliver souls, except his; therefore, let us come unto him, withdraw from his resources of life, have protections, victories, peace, and eternal lives. Though we are in trouble times, let us have faith in Jesus Christ, continue to serve him with humble spirits, be submissive to the Holy Sprit, no matter how intensified sufferings maybe, let us control ourselves when enemies reproached, never give up the battle, like the children of Ephraim, being armed, and carrying bows, turned back in the day of battle, refer to Psalm 78:9; but embrace one another with love, never refrain from doing what is rightfully, persistently work together as one spiritual body of Christ, connect, secure oursleves in the peace of Jesus Christ our Lord and Savior. Dearly beloved, let us pray for the peace of the world; before the ascension of Jesus Christ our Lord and Savior, he said, Peace I leave with you, my peace I give unto you: not as the world giveth, give I unto you. Let not your heart be troubled, neither let it be afraid. per John 14:27; therefore, let us continue to seek that peace on earth forever and evermore. Peace, Peace be still! Amen and Amen! (KJV.) 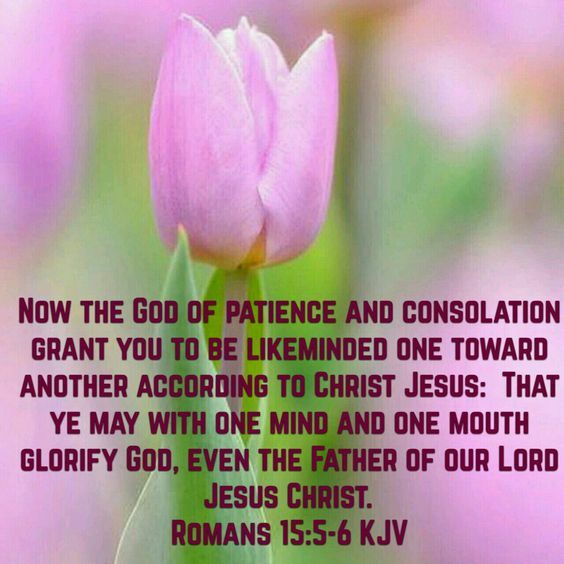 Coloss.. 3:12-13 Put on therefore, as the elect of God, holy and beloved, bowels of mercies, kindness, humbleness of mind, meekness, longsuffering; Forbearing one another, and forgiving one another, if any man have a quarrel against any: even as Christ forgave you, so also do ye. IN FAITH, IN TRUTH, INDEED! Brethren, as believers, we have read in the scriptures, heard sermons about faith in Jesus Christ our Lord and Savior; however, what is faith? Faith is an emotional feeling, a judgment of guilt, or belief that something is true, real, hope that it will manifest sooner or later; there are few more definitions in the dictionary to referenced at any time; to have faith is not difficult as to practice faith; anyone can have faith in this world, believers have faith in our Father through Jesus Christ; Sorceries, also have faith in their evil spirits, and witcheries; in both spiritual worlds, faith is the key to manifest supernatural powers. Biblically, the entire creation came into existence through the word, Jesus Christ; spoken out of our Father's mouth, therefore, the word from our Father's mouth, was faithful, forceful words to create all things of the heavens and earth, the entire universe; through connotations, our Father spoke all things into existence, except human being, which he physically formed out of dust of the field, in his own image, refer to Genesis 1:27; there existed another forceful power during creation, which is the resurrection power of the Holy Spirit, with both our Father, the word, which was Jesus Christ, when our Father spoke his words, the Holy Spirit manifested accordingly, brought all things into physical existence. Therefore, if we were created in the images of our Father, his breath of life moves within our mortal bodies; in the essence, we are miniature gods, the spirit of the word, live within our mortal bodies as well, we can, therefore, call things into existence with faith likewise; therefore, let us be careful of our spoken words, think carefully about things, before we utter them into existence, upon our lives and lives of others; we are powerful! on the other level of faith is works; for example, if we have faith in our innermost spirits, but does not speak faith out of our spirits to manifestations of our heart desires, we can not receive anything from Jesus Christ; another, example, if we receive revelations from Jesus Christ, but refuse to act upon his instructions, to receive his promises, our faith is in vain: Father Abraham was justified by faith when he obeyed our Father's instruction, to sacrifice his son Isaac, the child of promise upon the altar; if it was you and me, what will we do? This is a point to ponder on! Accordingly, faith goes hand in hand with works to perfect the will of our Father, manifest blessings of the Holy Spirit; faith without works is lifeless faith; contrarily, faith with works is a perfect faith in Jesus Christ our Lord and Savior; therefore, if claimed to have faith in him, let us exemplify our faith by obiedence to his words, act upon instructions, do his will diligently, faithfully and love one another as ourselves: many times, we delay our blessings by going around the wilderness, simply because we lack faith to execute instructions from Jesus Christ into destinations of life; today, let us be encouraged not to fear, worry, but have faith, believe in Jesus Christ, experience his miracles. signs and wonders through faith all things are possible. Dearly beloved, if we find ourselves in doubt of instructions from Jesus Christ, that maybe signs of lack of faith in him; let us pray to strengthen our faith, confirm his words through the spirits, know his will, execute his commandments; there is faith already implanted within our innermost spirits: it is never too late for believers to execute the god type of faith in this world; obey his words, trust him, and not lean on our own understandings, walk in righteousness, Father Abraham did, and was called the Friend of our Father; therefore, let us do the same, have faith in Jesus Christ, if we have received his instructions, rise up, with greater faith, without fear of foes, joyfully face the world, no weapon formed against believers shall prosper in this world, possess our possessions forever and evermore. Amen and Amen! (KJV.) James 2:26 For as the body without the spirit is dead. so faith without works is dead also. (2) Hereby know ye the Spirit of God: Every spirit that confesseth that Jesus Christ has come in the flesh is of God. (3) And every spirit that confesseth not that Jesus Christ has come in the flesh is not of God: and this is that spirit of antichrist, whereof ye have heard that it should come, and even now already is it in the world. Brethren, as humanity, unless we differentiate, know facts governing the kingdom of this world, the kingdom of heaven, that of darkness; we are spiritually blindfolded, stumbling, toss thro and fro, in, around, and about aimlessly in the darkness of this world, blind people leading the blind, we deceive ourselves and one another: therefore, let us not reject words of the Jesus Christ ministered through his servants, but receive them in good faith, follow through his guidances, escape evil devices of the enemy, walk in the victory of Jesus Christ our Lord and Savior, into eternal lives. 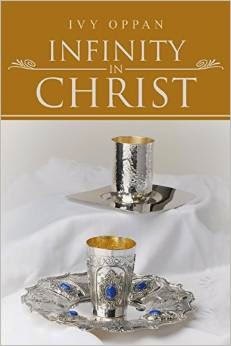 Jesus Christ knows the future of this world, humanity, things yet to manifest on earth; through his words, he is currently preparing his believers for events yet to manifest on earth, to discern works of darkness, walk in his righteousness, choose eternal lives over eternal damnation: the question is, how do we know exactly what to do and what not to do, which pathways to take, narrower or wider roads into eternity, if we dare not find out the facts? at times, we do not want to listen to messages pertaining to the world of darkness, the second coming of Jesus Christ our Lord and Savior, the end times phenomenon; however, these messages concerns us, whether we like it or not, because, they relate to what will happen to each and every soul in the future, whether we asleep in death or alive, when Jesus Christ comes back the second time; therefore, these messages matter to humanity more than messages of wealth and riches; unless we acquire the spiritual knowledge of things going on in and around the world of darkness, how can humanity discern what is going on in this world? This is a point to ponder on! Referring to the above text, we are not to believe every spirit, but try the spirits whether they are of our Father; first of all, how can we differentiate the spirits: the answers are within the context, (i) Every spirit that confesseth that Jesus Christ has come in the flesh is of God. if ministering spirits come to minister unto our hearts, but refuse to proclaim the name of Jesus Christ throughout their ministrations, those spirits may be questionable spirits; let us think carefully about those messages before we act upon them; for it is written, Beware of false prophets, which come to you in sheep's clothing, but inwardly they are ravening wolves. Ye shall know them by their fruits. Do men gather grapes of thorns or figs of thistles? refer to Mathew 7:15-16; (ii) And every spirit that confesseth not that Jesus Christ has come in the flesh is not of God: therefore, let us get the understandings, that no messenger of our Father, ministering by his spirits, can speak evil of Jesus Christ, but rather establish him as the one speaking through their flesh, also, no one can proclaim Jesus Christ as Lord and Savior, except by the Holy Spirit within our innermost spirits prompts their hearts to proclaim his Holy Name. Dearly beloved, there are only two spiritual kingdoms; firstly, the eternal heaven, where our Father reigns side by side with Jesus Christ our Lord and Savior, and his Saints, subsequently, the world of darkness, with Satan, and his demonic entities; either we belong to the first kingdom of Jesus Christ or the second with the devil, there is no other kingdom in between these two kingdoms, such as, the undecided, set aside, lukewarm, bench warming world; therefore, if we are not under the umbrella of Jesus Christ, then we are under the umbrella of the Anti-Christ which is already ruling this world; therefore let us know which of the two kingdoms we belongs to, stand firmly under that umbrella of protection, if we are undecided on which kingdom to belong, please, do not stay undecided forever, but come under the umbrella of Jesus Christ, overload burdens upon his shoulders, have salvation, free grace, peace, joy and life forever and evermore. Do not stay under the umbrella of Satan, come out of the kingdom of darkness, into the lights of Jesus Christ! Amen and Amen! (KJV.) 1 Corinthians 12:3 Wherefore I give you to understand, that no man speaking by the Spirit of God calleth Jesus accursed: and that no man can say that Jesus is the Lord, but by the Holy Ghost. 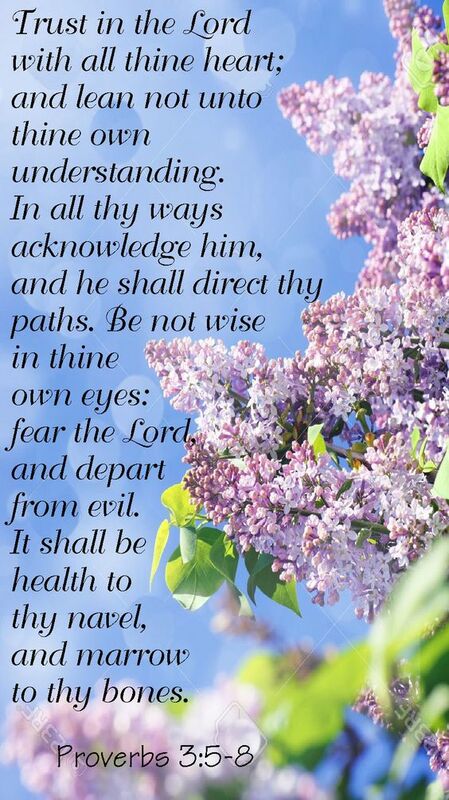 Brethren, beware of the enemy, in other not, to yield into temptations; watch out, and be prayerful! Regardless of how spiritual believers maybe in the righteousness of our Father; occasionally, there will be temptations from the enemy of our souls, to fall into sinful behaviors: what is a temptation? To be tempted is to feel pressures applied to thought processes, these pressures are designed by the enemy purposely to create wrong thinkings and emotions that will lead to wrong actions, behaviors. One way or another, every human has been tempted many times, failed few testings, fallen into sins; since creation of human species, in the garden of Eden, the serpent tempted Eve and Adam with his lies, enticed them to eat the forbidden fruit from the tree of the knowledge of good and evil, planted in the middle of the garden, which our Father forbade them not to eat or surely die, brought the fall of humanity, refer to Genesis chapter 3; subsequently, Jesus Christ our Lord and Savior was led up of the spirits into the wilderness to be tempted by the devil three times, refer to Matthew chapter 4; in his case, Jesus had fasted for forty days and forty nights, was in spirit, therefore, he successfully passed all three testings, overcame the devil with the scriptures, accelerated to the next level of his assignment, preached the kingdom messages unto multitudes; Judas Iscariot, the disciple of Jesus Christ, was also tempted by the enemy, to betray his master to higher authorities for thirty pieces of silver, but Judas failed the testing, yield his heart to evil works, refer to Matthew 26:15; after Jesus was arrested, scourged, crucified, the enemy who infiltrated his mind to betray his master, turned on Judas himself, led him to outskirts of the town, hanged himself on a tree; refer to Matthew 27:5; temptations led Ananias and Saphira his wife, to lie to the Holy Ghost, kept back price of their own land, sold to donate the proceeds to the ministry of Jesus Christ our Lord and Savior; refer to Acts chapter 5; there are other examples recorded in the scriptures, whereby the enemy of our souls, infiltrated, manipulated human thought processes, moved into their hearts, pressed them sorely, executed his evil works. As humans, whether we fail or pass temptations; let us count our blessings that temptations did not overtake our lives, that we are still alive to testify of how we made it through difficult times, and not feel like failures, but walk in victories, there are no failures in Jesus Christ, rather second, third, and fourth chances to overcome temptations, move forward to final destinations of life; whenever we overcome temptations, let us give glory to Jesus Christ for gifts of discernments, to realized that we were being tempted of the enemy, but did not yield our members, to believe his deceptions, fall into ungodliness, trespass against our Father: temptations are evil desires of the enemy, to pester with our souls, and disrupts our emotions, hangs dark clouds upon our shoulders, sorrows, and anxieties prevail against our souls; however, there is peace, joy in Jesus Christ, let us come unto him with all our labors, heavy laden, receive eternal rest for our souls. Submit yourselves therefore to God, resist the devil and he will flee from you. refer to the book of James 4:7. Dearly beloved, the devil is a master of deceptions, when we fail temptations, he jubilates over our souls, if we should fail a test, we ought to learn lessons from our failures, to know what to do, or not to do next time, how to handle ourselves in case we are tempted again, have patience, wait upon the Jesus Christ for more spiritual powers, to overcome further deceptions; because the enemy tempts souls, seasonally, and chances are he will be back with more strategic lies, plots, and plans to derail believers faiths in the righteousness of our Father through Jesus Christ our Lord and Savior forever and evermore. Beware of the devil! Come to Jesus Christ! Amen and Amen! (KJV.) 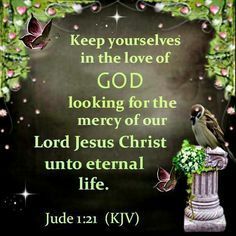 James 1:12 Blessed is the man that endureth temptations: for when he is tried, he shall receive the crown of life, which the Lord hath promised to them that love him. (11) And the night following the Lord stood by him, and said, Be of good cheer, Paul: for as thou hast testified of me in Jerusalem, so must thou bear witness also at Rome. (12) And when it was the day, certain of the Jews banded together, and bound themselves under a curse, saying that they would neither eat nor drink till they had killed Paul. Brethren, the roots of things of creation are the spirits; therefore, let us be spiritual, intertwine with Jesus Christ our Lord and Savior, with faith, walk in his righteousness, have peace on earth, hope of eternal lives. No one can fully figure how things are engineered from the spirits, implemented on earth; however, there is an establishment in heaven, there is nothing going on in this world that heavens do not have knowledge before manifestation; for our Father knows the beginning and end of his creation, things are foreordained, predetermined before the foundation of this world, but held up in the spirits, until appropriate times of manifestations; for example, visions of the end times were revealed to Apostle John by Jesus Christ, recorded in the book of Revelation, sealed to be implemented at appropriate times. Therefore, as chaotic situations unfold everywhere in this world, let us trust Jesus Christ, that he is still in control of creation, working all things together for good for welfare of humanity, with that in mind, there is nothing to worry about, fear in this world, rather be bold and brave Christians, walk in victories, pray fervently for the peace of this world, with faith in our Father, hope for the second coming of Jesus Christ to deliver believers from the world of darkness into eternal lives; though the enemy is working tirelessly to cause havoc on earth, he knows that time to pester with human lives is running out; however, Jesus Christ counteracts his evil manifestations, turns them into blessings, testimonies, praises and adorations for his glorifications forevermore; therefore, thanks be to our Father, who gives us the victory through Jesus Christ our Lord and Savior! As servant of Jesus Christ our Lord and Savior, let us continue to be faithful, persevere, do his will regardless of conspiracies or persecutions of enemies; let us not fear death, our bodies are mortal, no matter how long we live on earth, someday, we will sleep in death, mortal bodies will disintegrate into dust of the field; the immortal aspects of our lives does not perish away, but lives forevermore; therefore, let us not fear for our lives, not to do the will of Jesus Christ because of evil works; Jesus said, He that findeth his life shall lose it: and he that loseth his life for my sake shall find it, refer to Matthew 10:39; therefore, if believers face persecutions to point of losing their lives doing the will of Jesus Christ, there is life awaiting their souls after mortal death, their souls are not in damnation, but with Jesus Christ our Lord and Savior forevermore. Fear no death, but rather love one another! 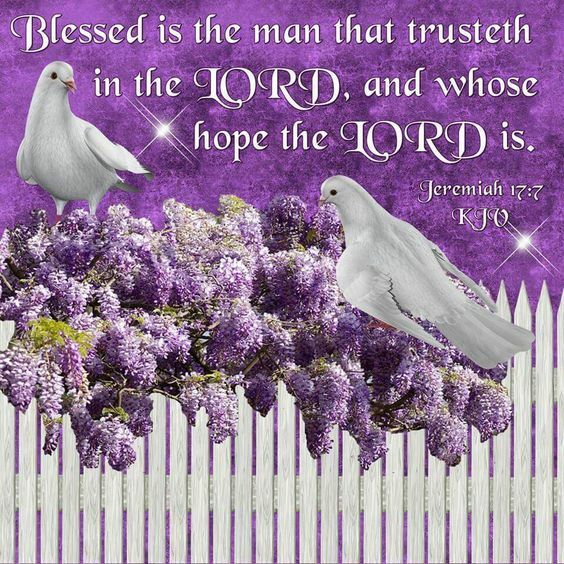 Dearly beloved, though uncertainties prevail against this world, as believers, let us not be surprised, shaken in spirits, rather believe and trust, the hope of eternal glories with Jesus Christ our Lord and Savior forever and evermore. Amen and Amen! (10) For I am with thee, and no man shall set on thee to hurt thee: for I have many people in this city. (11) And he continued there a year and six months, teaching the word of God among them. 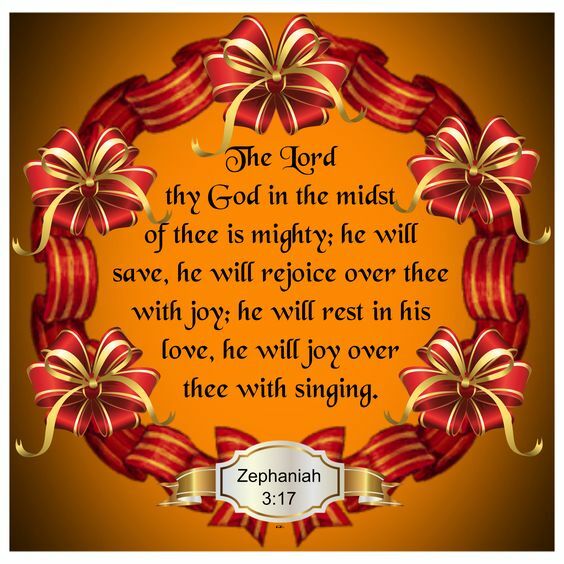 Brethren rejoice ye servants of the Lord! For Jesus Christ, our Lord and Savior is with you! Be not afraid of foes, but take care of your works cheerfully, diligently, be faithful, continue to preach the gospel into hearts of humanity; regardless of hindrances, obstacles, and sufferings of present times, cast away earthly fleshly distractions, focus on eternal inheritances, everlasting peace, joy awaiting dedicated servants, who persevere into final destinations of life. From generations to generations, human nature remained the same; King Solomon, said; The thing that hath been, it is that which shall be: and that which is done is that which shall be done: and there is no new thing under the sun. (Eccles. 1:9); therefore, let us not be surprised at negative behaviors of this twenty-first century; what do we do from this point, to reflect positive changes in the world of negatives? this is a point to ponder on! We have choices to reflect upon, how godly people from past generations resolved issues, obtained mercies of our Father, overcame predicaments; refer to book of Jonah chapter 3: turned negative situations around for good through Jesus Christ our Lord and Savior, or continue to resolve issues with human intellect, conceptual understandings, face oppositions, suffer consequences; however, Jesus died on the cross, granted peace everlasting to humanity, therefore, let us immerse our souls into his peaceful rivers, remain calm in the midst of devastating times, continue to have faith in him forevermore. It does not really matter which generation we find ourselves living, ethnicities, genders, skin colors, humanity, in general, opposes, influences, interacts positively or negatively towards one another; agree or disagree with perceptions to the distraught peacefulness of this world; questions we need to ask ourselves are; what are we trying to prove in this world? What are we doing to ourselves? If we are sojourners in this world, someday, will answer the call of Jesus Christ to come to final rest in him; with that in mind, why do we strive, disagree, argue, fight among ourselves? why can't we live in unity, reason with one another as brothers and sisters of the same Father, live peaceably with all men? 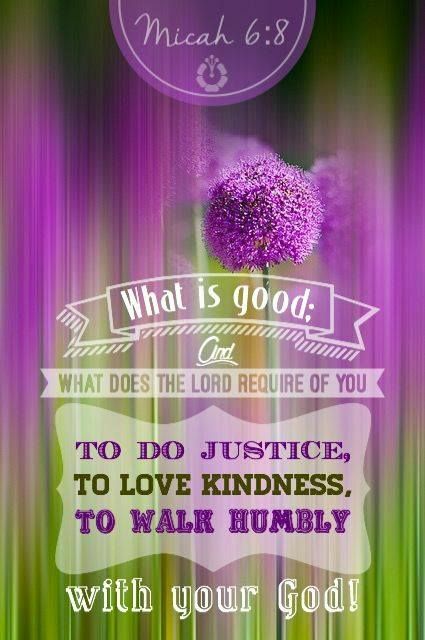 serve one another wholeheartedly, love one another as ourselves, put the enemy of our souls to shame forever? Let us not be afraid in this world, but be bold and brave Christians, make rightful choices of life. Dearly beloved, as chosen people of Jesus Christ, let us not be afraid of persecutions of this present times, give up on our assignments, continue to minister the gospel of peace into hearts of humanity; relate messages from Jesus Christ by the Holy Spirit as we receive unto humanity; and strain them not, to speak only desirable messages, keep undesirables; if we are oracles of the Holy Spirit, let us not be afraid to minister truthfulness of his words unto humanity, lighten up pathways of souls with gospel of peace, lead them into eternal lives: He that hath an ear, let him hear what the Spirit saith unto the churches; He that overcometh shall not be hurt of the second death. (Revel. 2:11). Amen and Amen! (KJV.) Acts 23:11 And the night following the Lord stood by him, and said, Be of good cheer, Paul: for as thou hast testified of me in Jerusalem, so must thou bear witness also in Rome. (32) And be ye kind one to another, tenderhearted, forgiving one another; even as God for Christ's sake hath forgiven you. Brethren, this world is full of mishappenings, regardless, life goes on for those who believe in Jesus Christ our Lord and Savior; one thing we know for sure is, the Holy Spirit, comforter of our souls, never leaves believers alone in sorrowful situations, he comforts their wounded souls, encourages them to have hope, that all things shall be well again; therefore, today, let us be strengthened in his might, to know that there is life everlasting after we sleep in death, and we will see love ones again someday in eternity; therefore, let us have hope in the second coming of Jesus Christ our Lord and Savior. As negativities continues to influence this world, it is time for Christian believers, to rise up, lay all differences aside, get together as one body of Christ, contemplate and implement stronger strategic preachings, that can affect positive changes in believers lives; as preachers of the gospel, we have preached much prosperity inspirational gospels, and still do; that is alright! there is nothing wrong with inspirational messages, meanwhile, let us not lay aside the Holy Spirit counsels, guidances, and reproves to congregations; many souls are heading towards marks of damnation; it is time to stress the gospel of truth, salvation, grace, peace, hope of eternal lives. Due to evil concurrences, no one knows for sure when the enemy will strike; therefore, let us live each day as our last day on the earth: purge our hearts of all resentments, hostilities, discontents, and cursings, forgive one another's faults, forget their offenses, let go and let Jesus take control of hearts, justice, judgment, and vengeance belongs unto our Father, he will recompense in due times; therefore, let have peace, clear consciences towards one another, showing benevolence, meekness, with deeper love for one another; gratitudes, and thanksgivings to our Father, through Jesus Christ our Lord and Savior. Dearly beloved, there is nothing impossible for believers to accomplish in this world; with Jesus Christ, they can do all things through the resurrection power of the Holy Spirit; believers are not failures, therefore, let us not lose hope in this world, give up on our faith due to evil concurrences, but rather pray fervently, persevere to finish lines, forbear, control ourselves not to retaliate when hindrances prevail against our souls, trust in Jesus Christ our Lord and Savior to set things right, in proper perspectives, move his believers forward to final destinations forever and evermore. Amen and Amen! (KJV.) II Corinthians 2:10-11, To whom ye forgive anything, I forgive also: for if I forgave any thing, to whom I forgave it, for your sakes forgave I it in the person of Christ: Lest Satan should get an advantage of us: for we are not ignorant of his devices. ENQUIRER MINDS WANTS TO KNOW! Brethren, from creation of Adam and Eve, in the garden of Eden, when Eve engaged in conversation with the Serpent, to find out what will happen if she ate the fruit of the tree, which is in the middle of the garden, refer to Genesis 3; until present times; one characteristic of humanity, is to investigate, research truthfulness of matters, acquire information, knowledge, understanding, dwell on facts, to conclude matters in this world of darkness. Many times, humanity engages in research, acquire information about others, just to turn around, utilise their findings to negate those individuals: this is an act of evil, let us refrain ourselves from other people private affairs, unless they open up doors of their hearts, pour unto us, even with that aspects, we are to be trustworthy to keep their secrets intact, within the four walls of our hearts: on the contrarily, it is also good to know more about the world we live in, people we interact with at all times; therefore, enquirer minds wants to know! In the above text, Jesus Christ, enquiries about himself from the Pharisees, Saying, What think ye of Christ? Whose son is he? ; gracefully, believers know the answer to his question, and will quickly answer him today, if he should ask them the same question, because he suffered, died, resurrected, ascended into heaven, seated at the right hand of our Father as an advocate for believers; however, Jesus might have asked them the question just to engage in a conversation, find out what they think about him: the Pharisees answered, "The Son of David. "; correct answer! however, Jesus replied with another stringed question, saying, "How then doth David in spirit calls him Lord? David, called Jesus Lord, because in the spirits; Jesus, is truly Lord, the word, which was with our Father, before the foundation of the world, all things were made by him, without him was not anything made that was made. refer to John 1:1-5; that was many generations before David was born; therefore, in the spirits, Jesus is the Lord over David; because, he was in existence before David was created in the spirits, born on earth; however, on fleshly basis, David was born on earth before Jesus Christ was born, became the Father of Jesus Christ, through his lineage. Many times, believers quote verses from the scriptures, one favorite verse is, "Submit yourselves therefore to God, resist the devil and he will flee from you." (James 4:7): after, Jesus interrogated the Pharisees, they were not able to answer his question, what happened next? they dare not asked him any more questions, from that day onwards; therefore, at times, enemies disguise themselves, as friends, just to get closer, know our frame of minds, who we really are, to turn over our secrets to other adversaries, let us be careful not to trust wrong people, to pour the secrets of our hearts unto adversaries within world of darkness, rather deal with one another gently, wisely, always perceiving matters, before reactions. Dearly beloved, it is one thing to inquire about people for good intentions; and it is another thing to enquire with negative intentions: no one can surely discern reasons why people behave negatively towards others; the fact is, people not in spirits, yield thought processes to dictates of infiltrations spirits; remember how the serpent deceived Eve and Adam in the garden of Eden, which brought upon iniquities of this world; he continues to infiltrate human thought processes the same ways; no soul is too strong for his pestering spirits, temptations, tricks, and deceptions; therefore, let us be in spirit always, pray every day, plead the sacred blood of Jesus upon our lives; have faith, belief in him, know for sure that there is nothing to worry about, fear, have anxieties for in this world, Jesus conquered the world of darkness; grant believers victory, therefore, let us walk in that victory, the enemy is a failure, defeated forever and evermore. Amen and Amen! (KJV.) Psalm 110:1 The LORD said unto my Lord, Sit thou at my right hand until I make thine enemies thy footstool. (23) For if any be a hearer of the word, and not a doer, he is like unto a man beholding his natural face in a glass. (24) For he beholdeth himself, and goeth his way, and straightway forgetteth what manner he was. 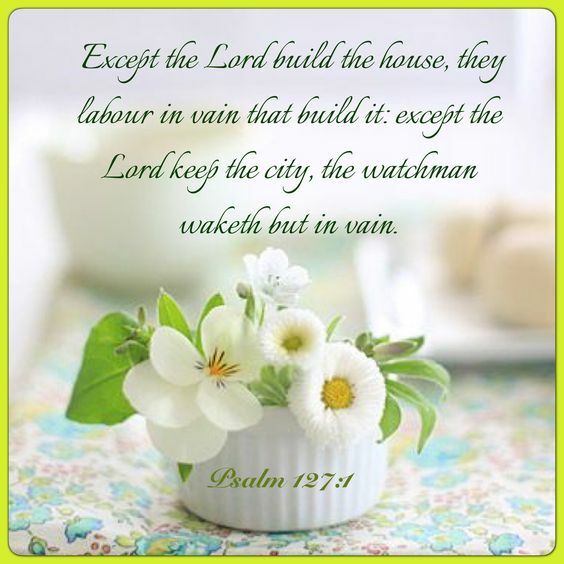 (25) But whoso looketh into the perfect law of liberty, and continueth therein, he being not forgetful hearer, but a doer of the work, this man shall be blessed in his deed. Brethren, one way or another ways, Christian believers receive, experience the resurrection powers of the Holy Spirit's manifestations within innermost spirits, before they become mature Christians; furthermore, the work of the Holy Spirit does not cease abruptly, after they become redeemed and sanctified, but many times, are glorified or yet to be glorified; the Holy Spirit continues to manifest his spiritual powers through hearts of believers, to accomplish his works among the darkness of this world; therefore, today, if we should hear his voice, let us not turn deaf ears upon his counsels, but yield to his instructions, leaderships according to his will; diligently, faithfully accomplish earthly assignments, receive eternal golden crowns of glories, be joint heirs with Jesus Christ forevermore. However, life is a journey in the garden of roses, bearing thorns and thistles; the roses are beautiful to stare at, but to pluck any, one has to beware of the thorns and thistles, not to get poked and bled to death; inferentially, it is easier for believers to receive Jesus Christ into their hearts as Lord and Savior, believe in him, have salvation, grace and eternal lives; after redemptions, journeys of faiths into eternity, believers struggle to solidify their faith in his righteousness; the flesh lusts against the spirit, and vice versa; ref. Galatians 5:17; many times, challengeful; why?, because once believers receive Jesus Christ as Lord and Savior, the enemy of our souls, loses a battle over their souls; and we know that he is not happy as a loser; though he lost the battle over our souls, when Jesus Christ shed his blood, died on the cross, rose again from the death, grant salvation, free grace and eternal lives to believers; therefore, whenever souls are redeemed from world of darkness into marvellous lights of Jesus Christ, the enemy warfares against those believers, to derail them back into world of darkness; let us beware of his treats and tricks, resist his temptations to yield to his dubious ways, and he will flee away sorrowfully. How do we keep ourselves from fallen into his temptations?, by reading, studying of the scriptures; for example, when Jesus was lead of the spirit into the wilderness to be tempted by the devil, if he did not know the scriptures, to defend himself against the devil, Jesus would have failed his testing three times; refer to Matthew chapter 4; subsequently, if we hear his words from preachers of the gospel, let us act upon his words, do what we are required to do as believers, walk in the footsteps of Jesus Christ, who called us out of darkness into his marvellous lights, be shining lights of the world, affect positives changes in world of darkness. Dearly beloved, anyone who hears kingdom words of our Father, take action to secure themselves in his freedom, enjoy grace without controls and restrictions of the flesh, desires to obey his words, do his will, that individual is blessed and highly favoured in this world, forever and evermore. Amen and Amen! (KJV.) James 2:12 So speak ye, and so do, as they that shall be judged by the law of liberty. Brethren, one thing we know for sure is, our Father is love, (1 John 4:8); if he created humanity in his own image, breathe his breath of life into its nostrils, then, love is already implanted within our spirits before we enter into this world; if we choose not to love one another, love remains dormant still within innermost spirits; however, there is one other negative spiritual attribute of human lives that can replace love, and that is hatred, there is nothing in between the two aspects to manifest, we may pretend to love people, but truly, we liar to one another, Jesus Christ our Lord and Savior, and are not truthful to ourselves; therefore, let us truly love one another, view one another as brothers and sisters of the same Father, and joint heirs with Jesus Christ in everlasting life. Case in point, whenever, we display negative attributes of hatredness towards our fellow brothers and sisters, we portray the same sinful attribute of Cain, who killed his brother Abel in the garden of Eden; (Genesis 4:8); when we despise someone, infiltration spirits are in control of our lives, and if they are the ones instigating our minds, hearts and emotions; guess what?, there is nothing positive to display, than negativities; therefore, whenever negativities happens in this world, let us not look at the physical aspects only, but view things on spiritual aspects as well: Jesus Christ summoned all the commandments into two commandments, saying, Love the Lord thy God with all thy heart, and with all thy soul, and with all thy mind. Secondly, love thy neighbor as thyself. (Matthew 22:38-39); therefore, if we love our Father, we will reverence him, obey his statutes; sameway, if we love one another as ourselves, we will not do evil works against one another. Therefore, let us love one another, love is eternal life; unites humanity to stand strong, overcomes differences, stabilizes nations, instill peace into hearts of men; the enemy is put to shame forever; if we hate one another, hatredness leads to damnation, brings divisions among humanity, animosities, evil works of darkness, uncertainties prevails against the world; the choice is within our spirits to manifest; therefore, let us manifest love, resist the devil, have eternal lives with Jesus Christ our Lord and Savior. Dearly beloved, regardless of what maybe going on in this world, let us have patience, wait for the judge of all judges, Jesus Christ our Lord and Savior, he is coming back again quickly, to judge the world, those who enjoy doing evil against people, Jesus will cast into furnace of fires, there shall be wailing and gnashing of teeth. (Matthew 13:42); as humanity, we vote to elect representatives into higher authorities, before we cast our ballots, at any given time, let us pray first, in other to choose rightful authorities into power, to do the will of Jesus Christ with godly fear, and love for humanity; that makes a big difference in this world of darkness. We shall not die, but live to proclaim the glory of Jesus Christ our Lord and Savior forever and evermore. Peace be unto you! Amen and Amen! (KJV.) St. John 5:24 Verily, verily, I say unto you, He that heareth any word, and believeth on him that sent me, hath everlasting life, and shall not come into condemnation; but is passed from death unto life. 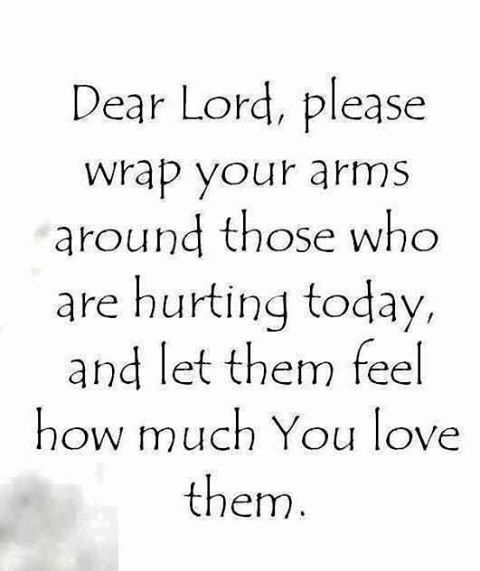 Brethren, let us pray for fallen victims all over the world, that departed souls may rest in perfect peace of our Lord and Savior Jesus Christ,comfort, strengthen their love ones through difficult times. Though we may be angry at the way things are going in this world; let us have patience, pray about things, leave them all to Jesus Christ; for, what can we do in this world, that Jesus Christ cannot do through the spirits? nothing, absolutely nothing! therefore, let us leave all injustices to our Father, never try to justify ourselves, prove wrongful or rightful circumstances, take matters into our own hands, go above and beyond to hurt one another, rather, when issues come up, voice our concerns to authorities peacefully, respectively, understand that one bad apple, can contaminate a million apples; give people benefits of doubts, try to understand why they behave such manners, there are alway smokes before fires, find commons grounds to work together towards resolutions, know that Jesus Christ is still in control, watches over the affairs of humanity; though, higher authorities may turn deaf ears to concerns which they are in positions of authorities, let us not retaliate, pay back evil for evil, rather good for evil; leave grievances to Jesus Christ; for it is written, Dearly beloved, avenge not yourselves, but rather give place unto wrath: for it is written, Vengeance is mine; I will repay, saith the Lord. (Romans 12:19); therefore, revenge belongs to him, he will repay injustices of this world, at appropriate times. Regardless of what is going on in this world; whether negative or positive, let us thank our Father, through our Lord and Savior Jesus Christ; if negative phenomenon happens, take into perspectives, that things could turn out negatively than ways in which they turn out; continue to pray, trust Jesus Christ, have patience, wait upon his judgement; if we turn over our troubles to him; as it is written; "Come unto me, all ye that labor and are heavy laden, and I will give you rest." (Matthew 11:28); he will honor his words, take absolute control of our negative situations, turn things around positively, comfort our hearts, grant us peace and joy forever and evermore. Amen and Amen! (KJV.) Comfort ye, Comfort ye my people, saith your God! 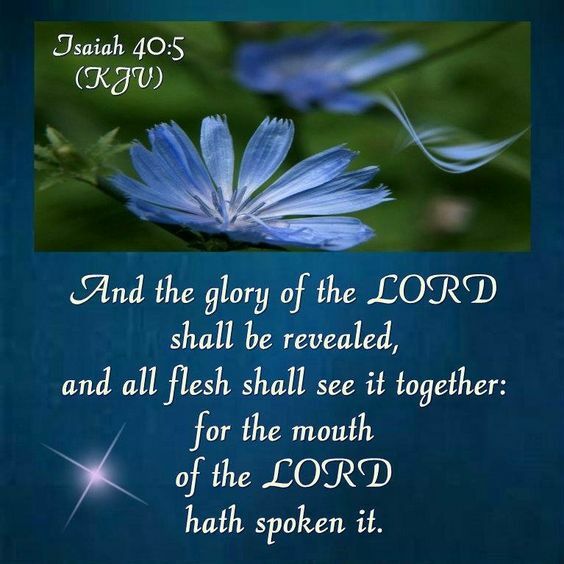 (Isaiah 40:1). Oh LORD! our merciful and gracious Father; have mercy on us, we have gone astray from you, we have walk in ways in which we ought not to walk; gone astray from you, show us the right way back home, that we may dwell peacefully in your presence forevermore. Amen! In the above text, Apostle John saw a vision of Jesus Christ our Lord and Savior, fell at his feet in the state of trance; in the vision, Jesus laid his right hand upon him, said unto him; Fear not; I am the first and the last: today, Jesus is saying to humanity, Fear not, my brothers and sisters, believe me, come, have salvation and eternal lives! Regardless of what is going on around us, let us not fear, worry, have anxieties over evil works of darkness; we wrestle not against flesh and blood, but against principalities, against powers, against the rulers of the darkness of this world, against spiritual wickedness in high places. ref. (Ephesians 6:12); instead of worrying about what we cannot control within our perimeters; let us rather pray fervently, voice our concerns to Jesus Christ, supplicate, intercede for his mercies, liberation from yokes of the enemy; also, beware of his devices, plans to execute, destabilize, cause havocs over the world; watch out for him! Whether we are in positions of perpetrators or victims; either ways, the enemy can use any soul, believers or unbelievers, at any moment, anywhere on earth, to execute his evil works; therefore, let us be in spirits, pray, plead the blood of Jesus over our lives every day; for, the enemy does not dwell peacefully, but delights in caustic, devasting phenomenon; whenever there is peace on earth, he devises evil from world of darkness, brings calamities to devastate human lives: however, the weapons of our warfare are not carnal, but mighty through our Father, to the pulling down of the strongholds, casting down imaginations, every high thing that exalteth itself against the knowledge of our Father, bringing into captivity every thought to the obedience of Christ. (II Cor. 10:4-5); therefore, prayer is the key to solving our problems: let us take our grievances to Jesus Christ our Lord and Savior, fight battles with prayers, have victories over the enemy of our souls; for, Jesus Christ died on the cross, resurrected from the dead, overcame the enemy, have the keys of hell and death, rules, reigns forevermore: if we have Jesus Christ as Lord and Savior, believe in him, though negative phenomenon will happen on earth, that may devastate lives, we shall not die eternal death, but rather have eternal lives. Dearly beloved, as believers, we rejoice with those who rejoice, mourn with mourners, devastating events of this world, fall into our beliefs, that we need to rise up, girdle up our loins of prayers, pray for peace of all nations of the world; we cannot overlook what is going on around us, we are soldiers of Christ, on missions to save souls; if the enemy is destroying lives, it falls into our prerogatives, to do something about our troubling world, not with preaching alone, but with prayers as well; we may debate on issues, what to do with evil works of darkness; however, prayer is the key for deliverance from its grids, therefore, let us pray for the victims, as well as perpetrators; that Jesus Christ grants his peace and comforts, and guide our feet through the ways of peace forever and evermore. Amen and Amen! (KJV.) Romans 6:9 Knowing that Christ being, raised from the dead dieth no more; death hath no more dominion over him. (9) There remaineth, therefore, a rest for the people of God. 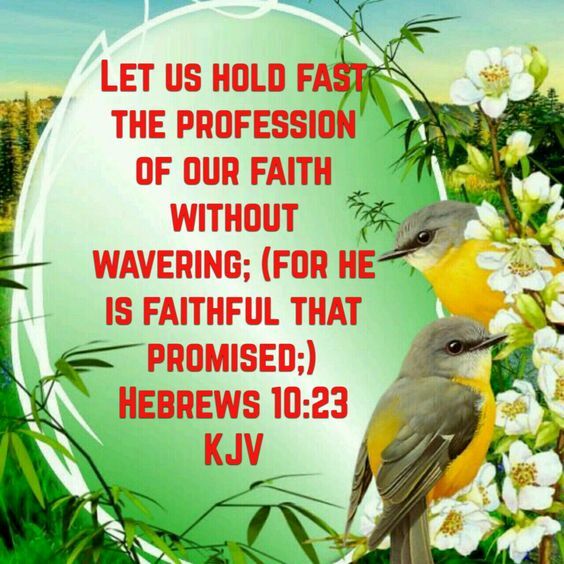 (11) Let us labour therefore to enter into that rest, lest any man falls after the same example of unbelief. Brethren, let us adhere to the principles of our Father, he knows what is best for our souls, all things of creation will work together for our own good, if humanity dares to follow his instructions, love one another as themselves; refrain from committing havocs, atrocities on earth: therefore, let us come to Jesus Christ our Lord and Savior, have salvation, free grace, rest peacefully in our Father. Consequently, let us not to take worldly issues carnally, try to solve them ourselves, rather view them through spiritual perspectives, understand that there is an enemy behind the scenes, whose motive is to lead humanity into damnation; ask ourselves, where do we go from this point, when atrocities prevail against humanity? 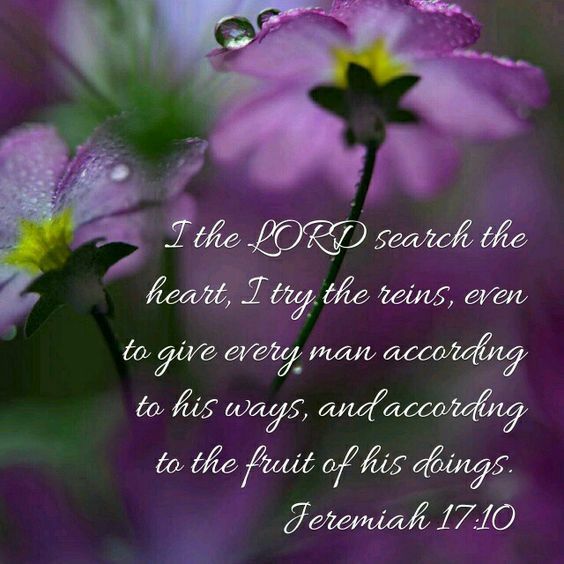 ; there is only one answer to this question, and that is, we have to go back to the biblical roots, thoroughly search the scriptures, there are answers to all problems of this world, written down for the welfare of humanity; find those answers, implement them, have peace on earth forevermore. The subject for today is the Sabbath; biblically, every soul needs a day of absolute rest, whereby, we refrain from stressful duties and responsibilities, a day of sober reflection, to relax, freshen up in the spirits, commune, connect to resources of our strengths; for our Father ended up his works of creation, took time off, and rested on the seventh day, (Genesis 2:2); if our Father who is the origin of spirits, after creation, took a day off his works, rested to refresh himself, enjoy his handiworks; subsequentially, we his replicates ought to do likewise, obey his words, (Exodus 31:15); take a day off from work, stressful situations, rest and refresh our souls in him: however, in this twenty-first century, it is difficult to observe the Holy Sabbath, Christendom have cast away the Holy Sabbath day (Saturday) replaced it with another day (Sunday); that is not a hindrance to salvation; it does not matter to Jesus Christ which day we choose to rest in him, the fact of the matter is, we need a day of rest, for good health and vitalities, never to stress our mortal bodies, wither away suddenly, perish without enjoying fruits of our labors. Secondly, there is another Sabbath; this is the final eternal rest in our Father, waiting for believers; this type of Sabbath is the rest that humanity should seek after before the second coming of Jesus Christ into this world; may it not be too late for unbelievers to take part in the Rapture; therefore, let us make necessary efforts to enter into that rest; this Sabbath is not easy, automatic to entering, we have to work willfully, diligently, faithfully serve Jesus Christ our Lord and Savior on earth, to enter into that Sabbath forevermore; therefore, let us not be weary in well-doing; for in due season we shall reap, if we faint not. (Galatians 6:9). Dearly beloved, let us be encouraged not to give up our faith, no matter what maybe our present day predicaments; relax our spirits, souls, and bodies, unwind, chill out from cares of this world, there is no slaveries, workaholics, stressfulness in Jesus Christ, but rather effortless grace, peace, joy, hope forever and evermore. Amen and Amen! (KJV.) Revelation 14:13 And I heard a voice from heaven saying unto me. Write, Blessed are the dead which dies in the Lord from henceforth: Yea, saith the Spirit, that they may rest from their labors; and their works do follow them. Brethren, from the point and time which souls enter into the world, until departures into the worlds unknown, food has been an essential partner of human lives: we eat in the morning, afternoons and evening that our physicalities withdraw nutritional benefits from daily consumptions, to sustain our lives on earth: therefore, essentially every human ought to eat at least one meal per day to maintain good healthy and vitalities. There is another aspect of a soul, which physical nutrients alone cannot sustain in this world; that is, though we consume physical food, nevertheless, spiritually remain hungry, vacuums, emptiness, have voidness within our spirits, that cannot be filled nutritionally; many times, we wonder what is going on with our lives, how come we are unhappy in this world, fear and anxieties overwhelms our souls, though we may have enough in this world: the fact of the matter is, nothing weird is going on with our lives; what we have to realize is, there is another aspect of each and every soul that needs to be fed daily through the spirits with prayers, reading, hearing of the scriptures, in other to grow, nourished, be strengthened as well as the physical body; despite the fact, that we intake food every day, our stomachs are full with delicacies, spiritually, we hunger and thirst for food of the spirits; therefore, Jesus said, I am the bread of life: he that cometh to me shall never hunger, and he that believeth on me shall never thirst. (John 6:35); therefore, everyone that is hungry or thirsty, come unto Jesus Christ, for free food, we do not need money to buy groceries, there is free water to drink from his wells of life as well; on the contrary, if we eat physical foods, we will hunger momentarily, whereas, if we eat spiritual food, his words, bread of life, drink his living waters, our souls will never hunger and thirst, be empty, voids, vacuums; rather joy and peace will be our portion, and eternal lives. 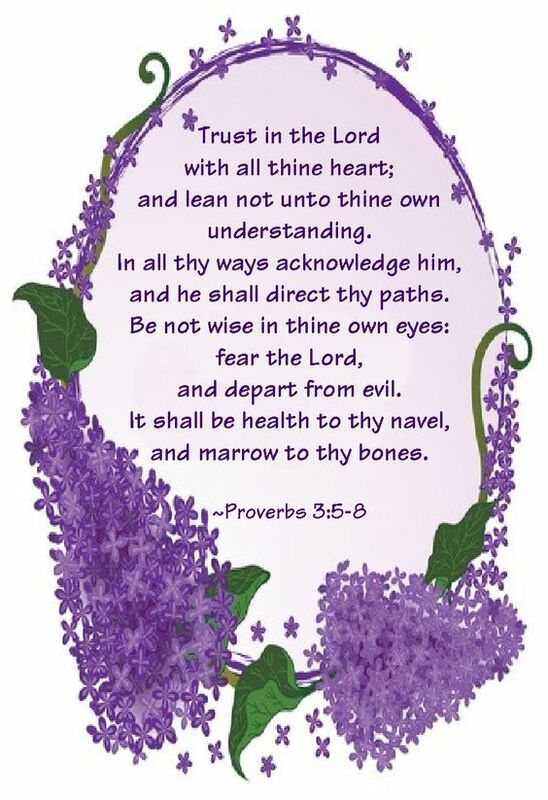 Therefore, as believers, let us not worry ourselves about food, what to eat every day, rather read his words, trust Jesus Christ to provide for our daily meals; (Matthew 6:11); watch him turn our lives around for good, what we thought can never be achieved in life, through reading of his words, our spirits connect with his spirits, he hears and answers our prayers, and work all things together for good, for his glorification on earth forevermore; all we have to do to receive his blessings, is to believe in our Father who sent Jesus Christ our Lord and Savior into the world to die on the cross to take away the iniquities of this world, resurrected into heavenly places, seated on the right hand of our Father, advocating on behalves of those who trust and believes in him, that their transgression are forgiven through his blood shed on the cross of Calvary forevermore. Dearly beloved, the disciples asked Jesus; What shall we do, that we might work the works of God? this question goes for all believers; Jesus answered them; This is the work of God, that ye believe on him whom he hath sent. Therefore, let us have greater faith in our Father, he is greater than the greatest, can undo the undoable, the owner of our souls, has the last say in what goes on in our lives; let us lean on him, not on our own human imaginations, trust him with all our hearts, minds through Jesus Christ our Lord and Savior forever and evermore. Amen and Amen! (KJV.) 1 John 3:23 And this is his commandment, That we should believe on the name of his Son Jesus Christ, and love one another; as he gave us commandment.